Well hello there, August! It's been months since we went into roaring 20s mode but it looks like the Gatsby fever is still in full swing, old sports! Jen sent us a very well-written feature about their ideas so I'll let her take you through it now! "Viel and I have been a couple for 10 years, being together this long we have grown to love the same things yet still be unique individually. One of the things that we both love are classic-themed movies and music. When we got engaged and started planning for our wedding, we wanted something that is not kind of unusual to the people around us. 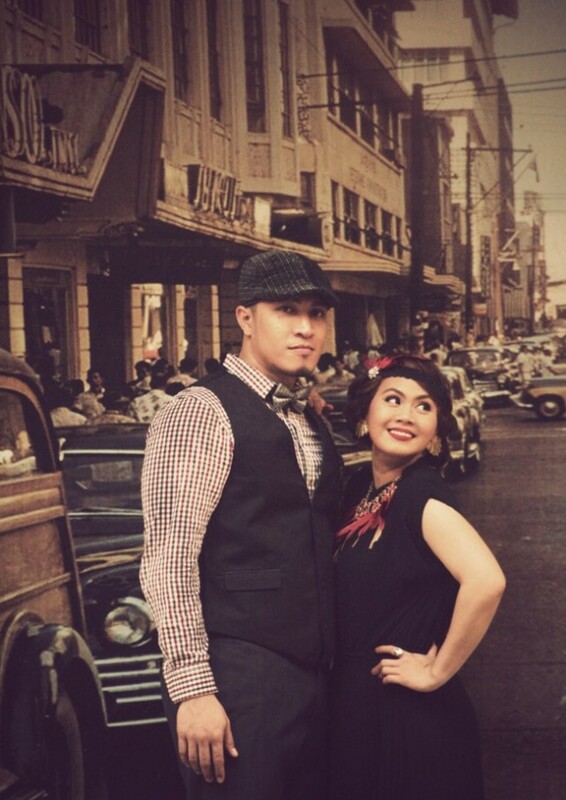 Then the idea of having a 1920’s/Art Deco/Great Gatsby theme dawned on me and Viel without any hesitation loved it! We both are fans of The Godfather, Gangsters of New York, Public Enemies, Boardwalk Empire and Great Gatsby. We got excited with the idea of our friends and families dressing up for our wedding. We were so into the theme that we wanted to stick to and go for the 1920’s/Art Deco/Great Gatsby all the way! From our prenup shoot, to our invitations, venue, music, decors, wedding website, favors, attires, wedding gown, and Viel’s suit. I extensively researched and looked for inspirations online (including your website) just to make sure every detail of our wedding would remind our guests, from start to finish, of the 1920s. We had so much help from my sister, Hazel Sta. Ana (who styled and conceptualized the story board) and her two good friends: Daryl Linn Lozano (HMUA) and Bethoven Filomeno (Photographer), to make this 1920s-themed Prenup shoot into reality. During the shoot, we were awed by the beauty of the art noveau/art deco buildings that lined the street of Escolta, some were restored and some were, unfortunately, have been forsaken. In between shoots we were talking about what was it is like during its majestic days and we hoped that it could be restored since it can be a major tourist destination in Manila besides Binondo or China Town. 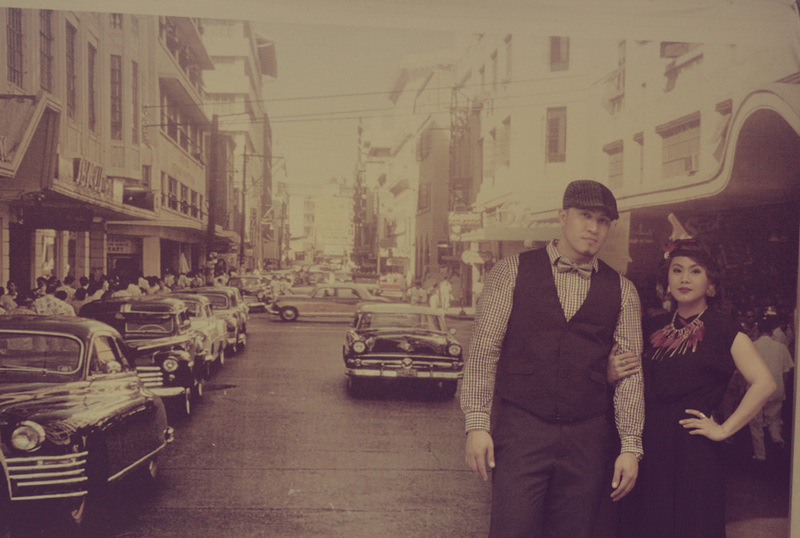 I hope our prenup shoot would inspire people to bring back the life Escolta once had." PS. I'm addicted to your site!